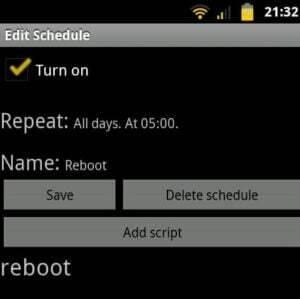 Home Technology How to setup automatic / scheduled reboot in Android phones? I rooted my Motorola Droid 2 last year but have since installed custom ROMS, that have taken the capabilities of my phone to a whole new level. 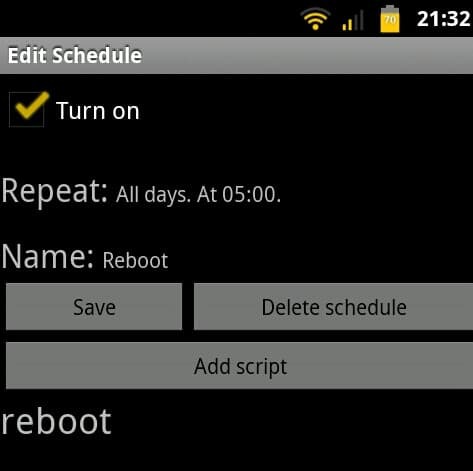 But what I am going to talk about today is how to set up automatic scheduled reboot on android phones. Android experts (which I am not) would argue that android OS does not require reboot and it is capable of handling the resources intelligently. While they may be right, my personal experience is that rebooting clears up the occasional sluggishness of my phone. Then I thought how it would be to wake up everyday and have a phone that had just rebooted and is ready to go. I did some research and accomplished it as described below. Note: Your phone should be rooted for this to work. 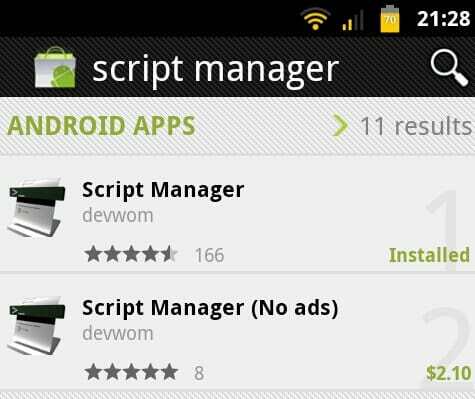 Search the market and install Script Manager. There is a free version as well as an ad-sponsored version. Save the following codes to a file named “reboot” (or anything you like). You can write it on your phone using Script Manager or any text editor or on your PC and move it to your SD card on the phone. Then open Script Manager and go to “Advanced Options” and select “Scheduler”. Schedule the script to run as shown below. Of course, choose the run time that works for you. After adding the reboot script, it should appear in the list below (as shown in the picture above). Long-press it and select “Config”. Choose “Run as root” and “Is Script”, as shown in the picture below. 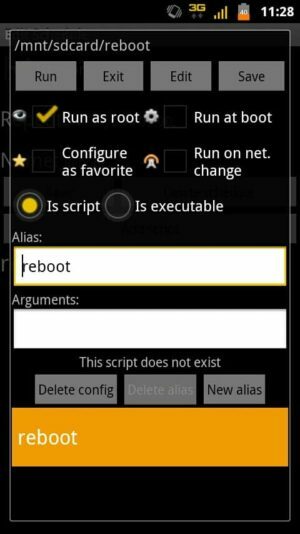 Be careful NOT to select “Run at boot” or your phone will go on a reboot loop. Save and exit all the way out. Thats it. Your phone should automatically reboot at the scheduled time. If you like you can add a reboot shortcut to your homescreen using the Script Manager widget. Another alternative if you do not want to do a full system reboot is to schedule a hot reboot as described in another post. Check it out and enjoy! How to set automatic / scheduled hot reboot in android phones?